Statistics has shown that over two thousand persons have lost their lives in different plane crashes in the country between 1969 till date. 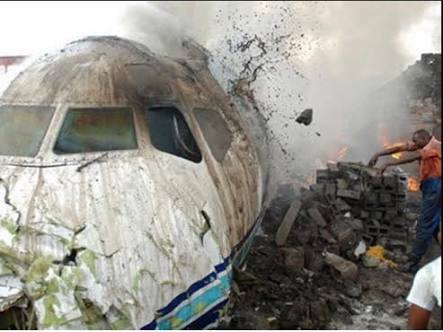 ﻿﻿Plane crash in Nigeria. We cannot over emphasize the grief of those people who lost their relatives in the past few years due to Plane Crash. 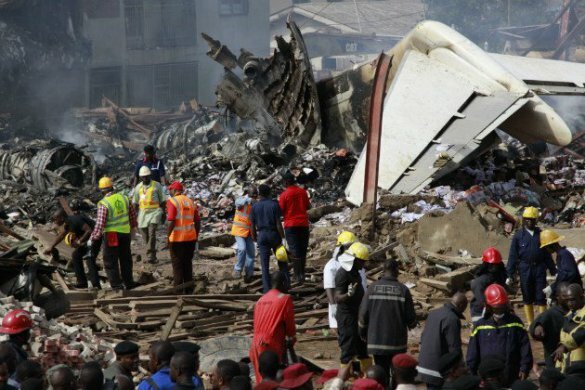 Below are 10 Plane crash that put the country Nigeria into shock and we are yet to recover. 1. January 22nd, 1973 - Royal Jordanian Airlines flight 707 carrying 171 Nigerian Muslims returning from Mecca and 5 crewmen died in a crash in kano. 2. November 28th, 1983 - A Nigerian Airways F28-1000 crashed on approaching Enugu killing 53 on board. 3. November 7th, 1996 - A Nigerian ADC, Airline Boeing 727-231 flying from Port Harcourt to Lagos with 142 passengers and 9 crew members crashed on landing, plunging into a lagoon with all on board killed. 4. May 4th, 2002 - A Nigerian EAS Airline BAC 1-11-500 with 105 people on board crashed and burst into flames in a poor, relatively populated suburb in Kano. 76 on board and 72 on the ground died, bringing it to a total of 148 dead. 5. October 22nd, 2005 - A Nigerian Bellview Airline Boeing 737 crashes and disintegrates in flames shortly after take-off from Lagos. The crash which killed all 117 passengers on board. 6. December 10th, 2005 - A Nigerian Sosoliso DC-9 Airline crashed in Port Harcourt, killing 102 on board and leaving one survivor. Most on board were school children going home for Christmas holidays. 7. 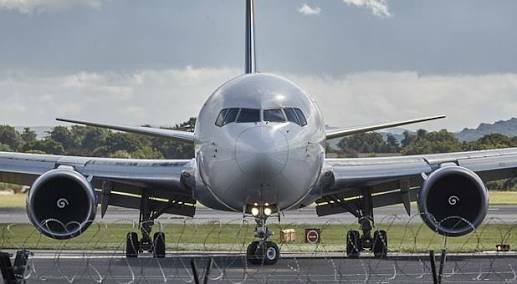 October 29th, 2006 - A Nigerian ADC airline Boeing 737 with 104 passengers and 8 crew members on board crashes minutes after take-off from Abuja’s airport during a rain storm in state. This crash claimed the lives of the spiritual leader Sultan of Sokoto, Alhaji Muhammadu Maccido and his first son, senator M.B Maccido, Deputy Governor Sokoto State, Senator Yari, Ghandi and Senator Abdulraham, son of former president Shehu Shagari and Others. 8. June 3rd, 2012 - A Nigerian Dana flight 9j 992 carrying 153 passengers on board crashed at a residential area of Iju-Ishaga, Lagos. All passengers on board died, and ten people died at the crash site. 9. October 25th, 2012 - Governor Danbaba Suntai of Taraba State, alongside with his ADC, chief security Officer and three others involved in plane crash he piloted in Yola Adamawa state. The plane, a Cessna 208, 5N-BMJ owned by the State Government, crashed in the outskirt of Yola, Adamawa state. The Governor was badly injured alongside with five others on board. 10. December 15th, 2012 - A Navy Augusta helicopter crashed and immediately burst into flames in the forest of Okoroba in Ogbia Local Government Area of Bayelsa state, shortly after take off. Among others dead in the crash were the governor of Kaduna state Patrick I. Yakowa, and the former national security adviser, general Andrew Owoye Azazi and four others on board.